Is One Of Dallas’ Two Contestants On The Upcoming Season Of The Bachelor About To Push The Series Past Some Long-Overdue Breakthroughs? So, The Bachelor: It’s coming back this January for what it feels like its 100th season. But, this time, there’s a twist — the titular bachelor, Nick Viall, has been on The Bachelorette multiple times now as a contestant, forever looking for love but perpetually losing out. Now, though, as the person handing out roses, he can’t lose. But, wait, why care? Well, because it’s pretty much a guarantee that there will be some Dallas-based contestants on each season of the show. And this year is no different, with two love-seekers — Rachel Lindsay and Elizabeth Whitelaw — claiming Dallas as their hometowns. Do we know anything else about these two? Actually, yes, we do. Fans of the series have probably heard of Reality Steve before. He’s the North Texas-based blogger who started off just providing commentary on the series but has since become the source for Bachelor/Bachelorette/Bachelor Pad/Bachelor in Paradise spoilers. Want a breakdown of the season? Reality Steve has you covered. Want to find out who the winner is well before it’s announced? Go to Reality Steve, he knows. Want to find out who breaks up after the cameras stop rolling? Reality Steve is your man. Even though we’re still about a month off from the show’s premiere, and even though the contestants for this season were only announced yesterday, Steve has not only known this information since last month, but he also knows who the final four women vying for Nick’s heart and roses are. According to Reality Steve, among the final four is Dallas’ own Rachel, whose presence in the final four is rather notable. Not only does this mean she makes a deep run in the popular series, proceeding all the way to the hometown dates, but it also means she’s the first black contestant to make it to the final four on the show in its 20-season run. No, that wasn’t a typo. If Steve is right (he is), Rachel will be the first black contestant to make the final four on the show in 20 seasons. It isn’t a secret that ABC has come under fire before for not casting minorities in The Bachelor. In fact, two potential contestants even filed a lawsuit against ABC in 2012 for under-representing minorities, arguing that ABC is afraid of an interracial romance. The lawsuit didn’t go anywhere — but, frankly, it had a point, and one that ABC is even conceding lately by acknowledging that it’s long overdue for having a minority starring in the titular role of either The Bachelor or The Bachelorette. Is it possible that Rachel could be that somebody if she doesn’t find love with Nick? Yeah, Reality Steve sure thinks so. 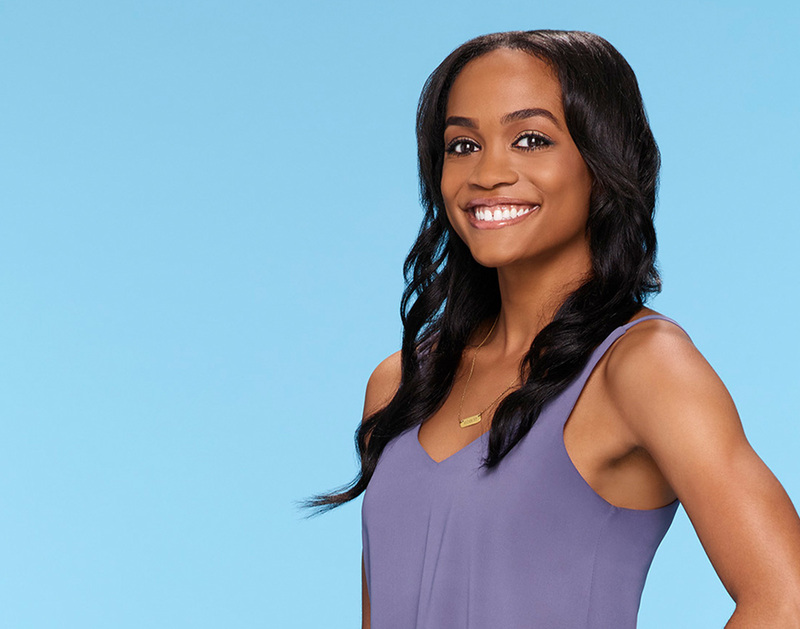 Which would mean that, in addition to being the second straight Bachelorette from Dallas, she would also be the first non-white person to star as the series’ main object of affection. It’s ridiculous that it’s taken this long to happen, but Given what else we know about Rachel — that she’s a University of Texas alum who works as a lawyer at the Cooper & Scully offices here in Dallas — it sounds like she’s up to the challenge, if Reality Steve is right. Point is: We’ll be rooting for her. Previous ArticleBack In The Saddle Again. Next ArticleThe Judge Reinhold Incident.